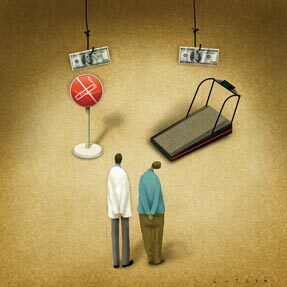 Health-linked incentives have become increasingly common, particularly by employers. But researchers are still trying to sort out what type and design of incentives are most effective and whether they hold significant potential to achieve both short- and long-term behavioral changes. Depression's impact on health is often profound and far-reaching, potentially equaling that of coronary artery disease. To provide clinicians with guidance on treatment of depression, ACP has released a new clinical practice guideline that underscores the severe burden of depression and outlines viable treatment options for patients. Environmental allergies are becoming more prevalent, and fortunately, so are treatments, as internists and allergists recommend options from changing the immediate environment to immunotherapy. ACP has 4 concrete proposals to address rising prescription drug prices: regulating and negotiating prices, enhancing transparency, increasing competition, and considering value. This issue covers topics such as offering incentives to help patients change their lifestyles, treating depression and its extensive influence on overall health, and new modalities for treating allergies. A 62-year-old woman is evaluated for a 4-month history of decreased exercise tolerance, joint stiffness, mild weakness, and a rash on her hands. She has noted increasing difficulty carrying heavy objects and feels exhausted after climbing stairs. Although her joints are stiff, she has not had any joint swelling. Her rash developed around the time of her other symptoms and has not responded to over-the-counter topical agents. She has no other symptoms, including cough or dyspnea. Medical history is unremarkable, and she takes no medications. Follow a physical exam, cardiopulmonary exam, and lab studies, which of the following pulmonary conditions is associated with this patient's clinical presentation?.